Much has already been written about Japanese food, especially the best-sellers like sushi, okonomiyaki, and ramen. However, as most of you may already know, Japanese cuisine is not just those three. As you live here longer or visit this country more often, you'll soon have the urge to try dishes other than the usual fare. It's a good thing then that modern-day Japan has dishes that, while obviously have already been influenced by the West, are still characteristically East. At most Italian restaurants here, there are basically four types of pastas served: tomato-based, cream-based, soy-sauce-based, and pepperoncino (basically oil-based with chili flakes). Pesto, more popularly known here as Genovese, is also served but is not so popular. Some restaurants also have combined tomato and cream pastas, and they have pastas with a bit too much sauce (which they call "soup pasta") or are actually served cold. Yet, there are those pasta shops that set themselves apart from others with the variety of ingredients they put in their dishes - including the ones that you won't normally find in traditional pastas, such as eggplants, small types of fish, and fish eggs. In Tokyo and other areas in Kanto region, restaurants such as Jolly Pasta, Yomenya Goemon, and Popolamama serve pastas that are unmistakably Japanese. Imagine: cod roe eggs on your spaghetti. Or, whitebait fish and sea urchin on your pasta with fish-egg sauce. How about this one: spaghetti in natto sauce (I don't think I will dare try this one, though). I once had a crab meat spaghetti, where they even placed the crab shell on top as design. 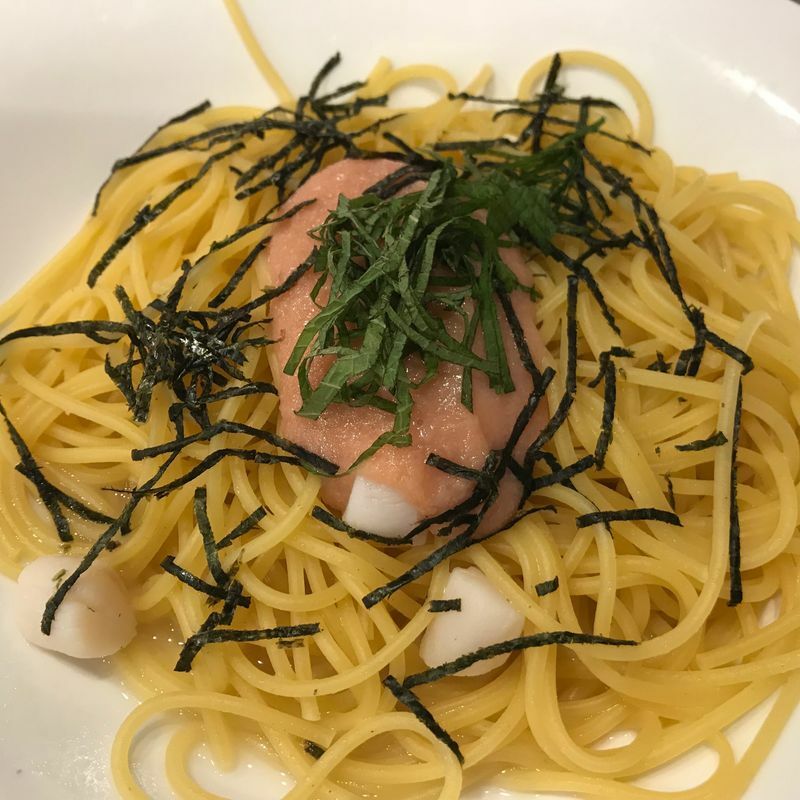 On yet another occasion, I opted for pasta with fish eggs, salmon flakes and corn kernels - which they dubbed as Hokkaido-style spaghetti. The unique flavor of Japanese pasta dishes could surprise any traveler to this country, but should not turn them off and is definitely worth trying out.